Uncontrolled and untested spreadsheet models pose significant business risks. These risks include: lost revenue and profits; mispricing and poor decision making due to prevalent but undetected errors; fraud due to malicious tampering; and difficulties in demonstrating fiduciary and regulatory compliance. 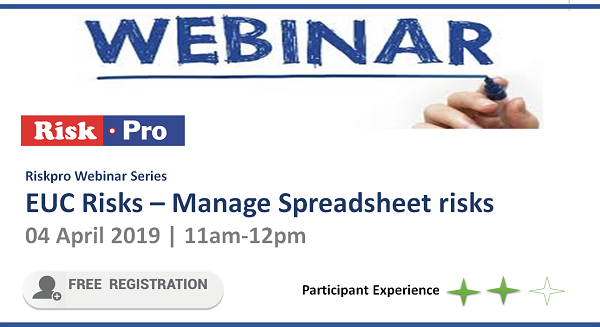 Learn what it takes to build an inventory of spreadsheets used in your company and to mitigate the EUC risks.